Off-road tyre specialist BFGoodrich is throwing its weight behind a team of budding young engineers who are vying for global glory at the world finals of the Land Rover 4×4 in Schools Technology Challenge. 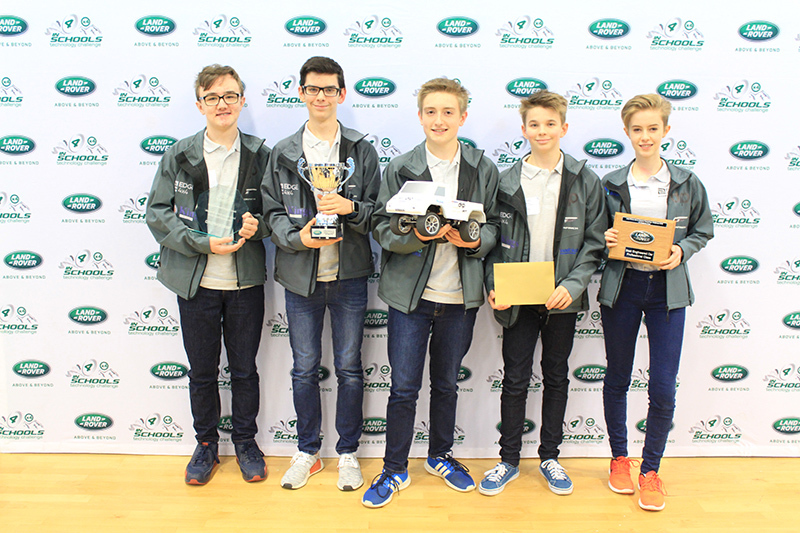 Called EDGE4x4, the Year 10 students from King’s School, Worcester, claimed the prestigious UK Champions prize and the Best Engineered Vehicle accolade at the UK National Finals held at Silverstone last March. The team faces tougher tests in 2018 having progressed from the ‘Development Class’ to the ‘Professional Class’, but they’ve got off to a triumphant start at January’s Regional Finals – coming first overall and winning awards for Best Track Performance and Best Engineered Vehicle. Next up for EDGE4x4 are the 2018 National Finals of the Land Rover challenge – which requires students to build radio controlled four-wheel drive vehicles that can successfully conquer off-road test tracks and emulate the capabilities of a full-size 4×4. With an exceptional reputation in off-road tyre manufacturing, BFGoodrich is one of the team’s four main sponsors and is helping to steer the gifted quintet into the world finals this December. EDGE4x4 achieved their success last year with a mini Land Rover they designed and built themselves – and they’ve entered exciting new terrain with their 2018 offering. EDGE4x4 is a team of Year 10 students from King’s School, Worcester. L-R: Alfie Parry, Design Engineer; Ed Cosson, Team Manager; Toby Weymouth, Marketing & Sponsorship Manager; Ed Robins, Manufacturing Engineer and Eli Edwards, Graphic Designer. Looking back at his team’s formation and how far they’ve come, he recalls: “We did initially get some help from our teacher, who has vast experience of the competition and mentored us through the early stages – but ultimately it was down to us. Now we’re doing it completely on our own.